A Few Of My Favorite Things: Contest Winner! Kasie wanted the YA package - I hope she enjoys these great books as much as I did! Congrats, Kasie! Sorry to all who didn't win, but I'm hoping to bring you all some more fun give-aways soon! It's too early for me to choose a contest winner (have to leave for work at 645 and I know my limits). When I get back I'll use Randomizer to select a winner and announce the results. I expect to post around 6-7pm. In the meantime, why not check out my other blog, La Dolce Vita La Vita Dura, and my post about jolie laide? Things have been a bit hectic at work these past few days, but I finished Lev Grossman's The Magicians . Fantastic book (coming of age, contemporary-fantasy, funny and brilliant). The Magician King is coming out summer 2011 and I'm stoked. I'm currently reading Wally Lamb's The Hour I First Believed . I'm stoked to try my hand at some non-fiction when I finish up the current WIP! I'm being a slacker on reading blogs (again) thanks to aforementioned long days (outside! in Augusta GA!) this week. I'm just drained. But Thursday should be a short day for me, so I expect to be making the rounds again then! What's going on in your reading/writing life today? Act two - the middle of the novel - is where a lot of us as writers start to lose our damn minds (although an argument could perhaps be made that we lose them just shortly before we decide we'd like to write novels). Morrell, in Thanks But This Isn't For Us , reminds us that the middle is not just an obstacle we pass through in order to get from promising beginning to exciting end. The middle is where our protoganist encounters the complications that make a story so interesting to us. As a book I read when I was a kid said, it's where we've got our main character up a tree and "keep piling alligators around that tree" (great imagery there - fifteen years later, I still think in terms of setting alligators up for my MC to cope with). Besides giving our protoganist twists, turns and new challenges to cope with, the middle is where we develop our subplots (Morrell says we can even wrap some of them up here; not every storyline needs to wait until act three for resolution). Stakes get raised. If some kind of built-in deadline or pressure can be applied to our protoganist, do it. Act two ends with what Morrell calls "the dark night of the soul". This is when the protoganist's great fear appears to be realized, where the crises reach their boiling point. Typically, the protoganist reacts with strong emotion, then resolves to meet the challenge. Depending on your genre, this darkest night might look very differently, but the principle is the same. I read this part of Thanks, But This Isn't For Us as I was working on the middle of The Goddess of Vengeance Wore Pink Galoshes. While I still may re-arrange some scenes during the inevitable revisions of the current WIP (though I try not to think ahead to revisions), this helped me crystalize my mental picture of what Lauren needed to encounter next. You see, I already had her sort of adjusting to the idea of being the new Goddess of Vengeance. She had done some terrible things to people in the name of vengeance that she felt guilty for, but she was also seeing the good that she was doing and there was a certain amount of emotional balance. So I ensured that by the end of act two, her love affair was in peril and more importantly, she'd accidentally injured, almost killed, the innocent person she was trying to avenge. Sorry, Lauren. I know you thought you could maybe get your life back together and you were excited about rescuing a puppy, but... N o free rides when you're the protoganist. What alligators will your characters face in Act Two? I love reading books and blogs on writing because, in the midst of all the "Yep, I know, I've only read that a million times", there's always something new to add to my education as a writer. Sometimes it's a really obvious thing that I feel like I should have learned already (or did learn, but ignored). This week, it's the three-act structure. Now, I get this - I do. The first act is the beginning, usually about a quarter of the novel; you have to start strong, but this is where you do your setup. The second act is the middle, the bulk of the story - about 50% of your average manuscript. Then the third act, the last 25% of the story, wraps it all up for the reader. Oh, so my story's supposed to have a beginning, middle, and end? Revolutionary stuff, that. But reading Thanks, But This Isn't For Us by Jessica Page Morrell has introduced me to a lot more detail about those three acts, wich makes them seem much more useful to me. This is a book by a professional editor and writing teacher about identifying flaws in your writing (I'd love to see a sequel, Here's What Isn't Jacked Up In Your Manuscript). Basically, Jessica Morell gives you a "blueprint" for each act of your story, covering the different aspects that will help keep readers hooked throughout each of the three acts. Today, I'm going to talk about good old act one. Paraphrasing Morrell: In act one, the protoganist and the other primary characters are introduced, as is their world, that world is thrown into disarray as soon as possible by an inciting incident, and a cauldron is established (i.e. the sitation that keeps the characters coming together for conflict). Act one ends with a crisis, as the MC steps forward into whatever breech has developed from that inciting incident. For me, reading about the "cauldron" was a big "Oh, yeah" moment. During my first draft of SHARDS OF GLASS, I was having a tough time keeping my characters in conflict by forcing them to encounter each other again and again - there just wasn't a natural way of doing that. I wish I'd thought about that before I'd come up with some of the more laborous scenes in SHARDS - I should have taken a step back in Act One and figured out what was going to keep all these characters interacting. And while this description of Act One may read as a touch formulaic, it's a structure that has a lot of give - obviously, these inciting incidents are very different in a mystery (where it could be a dead body) and a literary novel (where it could be an unsettling conversation). Do you use a definite three act structure in your WIP? Anything you've learned recently that could have made your previous writing go a bit more smoothly? I was around 41k during the last Wednesday Weekly. I am now at 62,190 words for The Goddess of Vengeance Wore Pink Galoshes. Yeah. So, it's been great, and I'm not trying to backtalk my muse or anything, but I could not write like this constantly. I am not complaining - it's exciting to watch the novel shape up quickly. But there were unplanned side effects. Like, trouble sleeping - I would find myself getting up after midnight because I had an idea I just had to write down. My alarm goes off at 5:30 for the gym, people. I am meant to go to bed at the same time as kindergartners. I wrote for I think 7 or 8 hours a day each on Saturday and Sunday (as if it were my day job, strangely enough). Sunday night I wrote through dinner, and found myself really quite unwell - sort of woozy and hungover. Booya, me. I turned the simple act of typing on my laptop into some unhealthy and obsessive. But the novel is coming together quickly, and I believe that it might not be crap. I'm never sure when I'm writing. Lauren's quotable quote of the week: "Being a good person is much less demanding than being a good girl, as it turns out." Normal Girl by Molly Jong-Fast was a surprisingly light and quick read about addiction (but the stylishly disgusting addictions of the rich, not the more pedestrian addictions of - oh, no. They look pretty much the same, as indicated in Jong-Fast's quick romp from sniffing cocaine off expensive suede boots through rehab). And, in a completely different genre, Jack Absolute by C.C. Humphreys. This was some fantastic historical fiction - well-researched and never dull for a moment, as Jack Absolute fights for the British in the American Revolution, falls in love and duels with both lovesick lunatics and the Illuminati. If you like historical fiction or are just looking to read an excellent piece of work outside your genres - highly recommended. Currently still in progress are Lev Grossman's The Magicians , which is amazing so far - a coming-of-age take off on fantasy, and Jessica Page Morrell's book on why writing is rejected, Thanks, But This Isn't for Us. More on this later. In other news, work is terribly busy and I miss my cats. I fly back home on the 2nd... counting down the days! How's everyone doing this week? Where are you with your various projects? Whatcha reading? Do you ever read a writing rule that makes you wish there was someone there to pout at? Or possibly toss their own reference book at them? April was the kind of teenager who makes adults wish they could go back and try high school over again. She was (in order of ascending importance) intelligent, funny, athletic, beautiful and popular. I've debated writing that last sentence differently a million times, and decided to let it stand as part of my voice until told otherwise (I'd love to hear your opinions on my parantheses abuses). But this business of semicolons being a dealbreaker in fiction has never crossed my mind before. So apparently now I'm breaking rules without even knowing they exist, which is not nearly as rebellious and fun as breaking them knowledgably. Her vision had narrowed suddenly, a soft hum rising in her ears that blocked all other sounds; she felt muffled, as if her eardrums had suddenly closed, and she put her hands up to her ears. She was in the midst of dumping out coffee grounds when a flash of red coat caught her eye; she looked up, saw Willow hesitate in the doorway and then duck back out. Sigh. Maybe I could stand to obliterate all my semicolons, after all. I think I'll try re-writing those sentences and see how they sound best. If that's what flows, I'm going all James Dean on those parentheses and semicolons, but I'll let them go if I must. Post to come on my determination. Poop. Any writing rules that make you feel a bit fussy? Or that you prefer to ignore entirely? Alright, summer writers, how are those novels coming? Just to recap, the 2010 A Novel Summer Challenge is to finish your novel by Labor Day (although you can pick your own end date; most of us chose Labor Day, though. A finished novel, and the white heels go back into the closet). I stole an idea from some other bloggers, although I haven't seen this done in the writers' community on blogger. If you look on the sidebar to the right, there's a BlogFrog community widget, the Not-My-Day-Job Writers' Cafe. I thought this would be a neat way for us to chat with each other about our progress. It's not just for the challenge - I wanted to give us a place to talk back and forth more than we do in comments. And not just about my own blog posts; please feel free to start a discussion about your own blog posts, about anything going on in your writing life (or your real life), or what you're reading. You'll have to make your own coffee at this cafe, but it's still a place for us to linger and chat! Summer of ...and this time, concentrate! I know quite a few people were on the fence about taking on this only mildly crazy endeavour. Who wants to join us? Leave a comment, and pass the lemonade and No. 2 pencils! ...but right now is a bit like a writer's jam. I'm just creeping along with my word count, turning up the radio and resisting the urge to swerve onto the sidewalk. 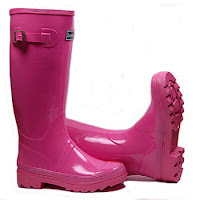 I'm just over 41k on The Goddess of Vengeance Wore Pink Galoshes (about 14k added this past week, for those of you keeping track, by which I mean, Mom. Maybe). Which means I am in the middle. You know what I would say if you inquired about the plan for the middle? "So yeah, then this happens, somehow, and this other thing. And then the end! The end's going to be great!" Then I would retreat into the corner with my dark chocolate M&Ms, organic Newman-O's, and laptop, and resume typing out a single sentence at a time. This sentence would be punctuated by long breaks and looks of deep concern. And M&M munching. I'm trying to write a pivotal scene right now, the one where Lauren confesses to her boyfriend Jake that she's been possessed by a Greco-Roman goddess. He's just witnessed her intervene in a crime and toss a guy about by flicking her wrist in his general direction, so he knows something's up. But what in the world would you tell your significant other if they told you they were possessed? No, seriously, what would you tell them? How would you react? I need to know. I asked my very helpful M.J. this, wanting the male perspective, and he said, "I'd tell you, sure, sweetie, whatever you say." "Erm, wouldn't you be worried about my mental health if I said I was possessed by a disembodied goddess?" "I'd treat you just the same as always." "I just mean, I love you and whatever crazy things you might say wouldn't change the way I felt or how I reacted to you." Then the conversation went rather off the tracks and became non-writing related, so nevermind that. In other news, I also took some time off from The Goddess this week to send out a few pieces (two poems), so we'll see what comes of that. I think I take rejection very well (I'm going to thank the unrequited love of my freshman and sophomore years at college for that), but submitting is scary every. single. time. I desperately need to update my Reads page with what else I've been reading. However , one delicious book that stands out from this past week is Peeps by Scott Westerfield (author of Uglies, and by the way, I really want the linked box set). Very fun, quick-paced and surpisingly logical vamp story. So tell me, darlings, what's up in your own imagined worlds, of both writing and reading? And seriously. How would you respond if someone told you something nuts? A few of my favorite things: 200+ Follower Contest! You guys? That follow and read my blog? You're some of my favorite people. That's Paper Towns by John Green, Devilish by Maureen Johnson, and Boys, Girls and Other Hazardous Materials by Rosalind Wiseman. But then I said to myself, "Self, you have some fine followers who don't necessarily read YA. What about them?" So then there was Get Lucky by Katherine Center, Land of a Hundred Wonders by Lesley Kagan, and Larger Than Life by Adele Parks. +1 for sharing one of your favorite things in the comments! Admin notes: Shipping to the U.S. only, please; open internationally if you're willing to kick in for postage, though. :) Winner will be selected by random number. Aaaand contest ends June 28th; forgot to slip that in this post the first time around. Wednesday Weekly: Um, Miracles Much?